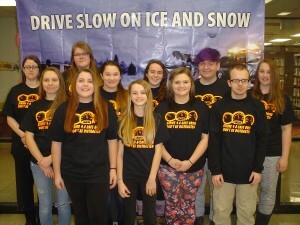 Student volunteers from WOAS-FM 88.5 and the Ontonagon Area Schools Senior Service Project (SSP) class will be launching a driver safety campaign during the first week of February 2016. The local campaign is called DON’T BE DISTRACTED and is intended to raise awareness about the hazards of distracted driving. The campaign is being funded with a grant from a statewide program called Strive 4 a Safer Drive (S4SD). 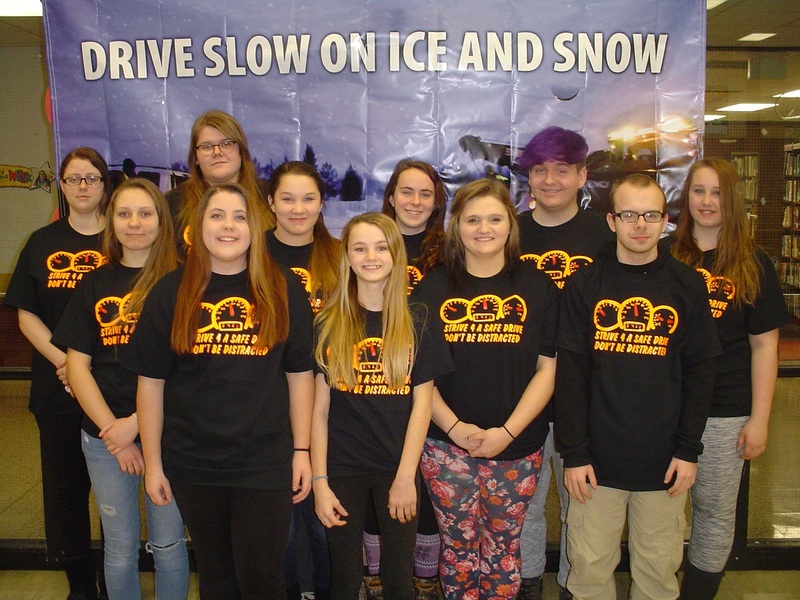 The local DBD campaign will feature button and poster contests for grades 6 through 12 with grade level prizes being provided by Peninsula Graphics of Ontonagon. The project will conclude on March 11, 2016 when the contest winners will be announced during a program presented by Michigan State Police Community Service Officer Jerry Mazurek. The DON’T BE DISTRACTED program logo was designed by volunteer Anna Fuller. WOAS-FM and SSP volunteers shown include (front l-r) Grace Welling, Destiny Pestka, Lexi Hill, Kaitlyn Ray, and Riley Gilmore. (back l-r) Aleesha Reath, Anna Fuller, Mary Farias, Hope Pintar, Zacc Ray, and Dominique Hamm. (not shown Kinsey Picotte, Ariel Voldarski and Ed Macomber).